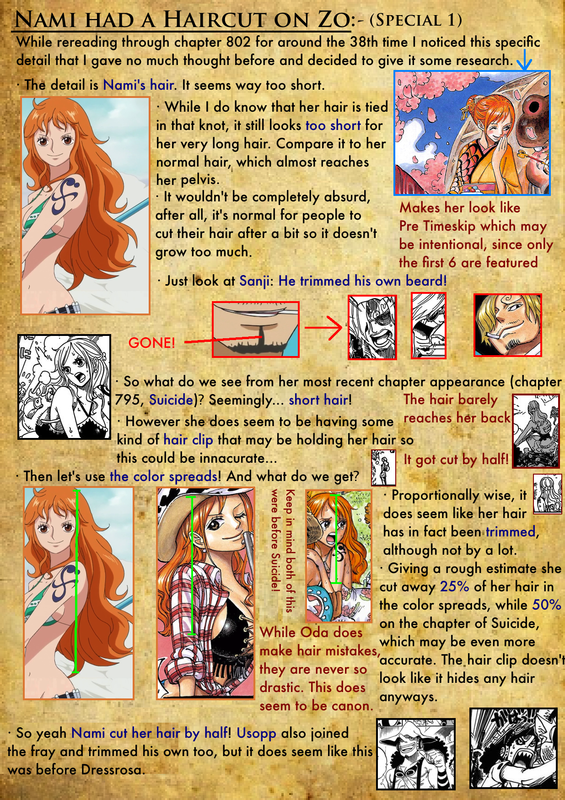 Chapter Secrets – Special 1: Nami’s hair got cut by half! So Specials are different from normal chapters on my column. They are just small wild thoughts I have about One Piece and may come out at any given time with no fix schedule. Enjoy! Next Chapter Secrets – Special 2: What are the Minkmen? I have to Traduce all of this for myself but is so worth it, i read all the specials now, thanks for the work!